In addition to booking and coordinating speakers, we at Talent Bureau are always excited to offer coaching on speaking and performance. Just a few weeks ago, our own Jeff Lohnes sat down with Bay Street Bull to share his expertise on effective speaking. Check out his interview with Christina Gonzales below. Jeff Lohnes is a man that feels comfortable on the stage. As the co-chair and former host of TEDxToronto, he’s worked with some of the most captivating speakers in the world. When he’s not running the annual conference, Lohnes keeps the momentum going by coaching a range of inspiring individuals (from politicians and entrepreneurs to athletes and actors) and connecting them to various communities. To say the least, he knows a thing or two about commanding an audience and owning the stage. Gonzales, Christina. 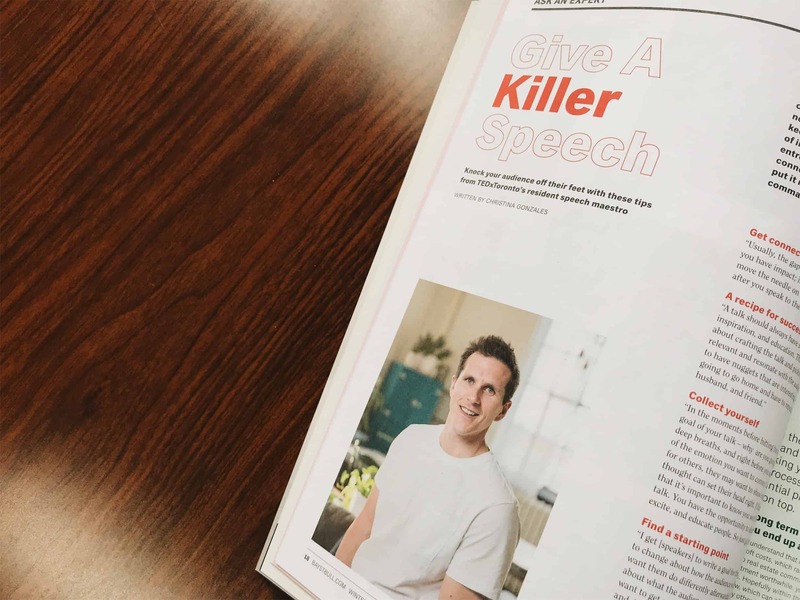 “How to Give the Perfect Speech: Tips From TEDxToronto’s Resident Talk Maestro, Jeff Lohnes.” Bay Street Bull, 2017. View the original article here.